In another bundle, I found some Bertie Bott’s Every Flavor Beans (I dared to taste one without looking at the flavor chart, it turned out to be Soap! Blech! 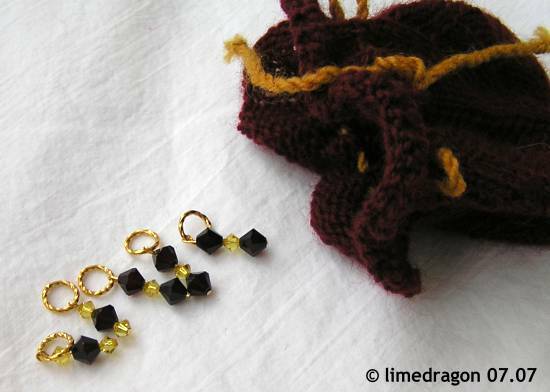 ), cinnamon candies “to breathe a little fire,” and a Gummi Pet Rat (Scabbers anyone?). 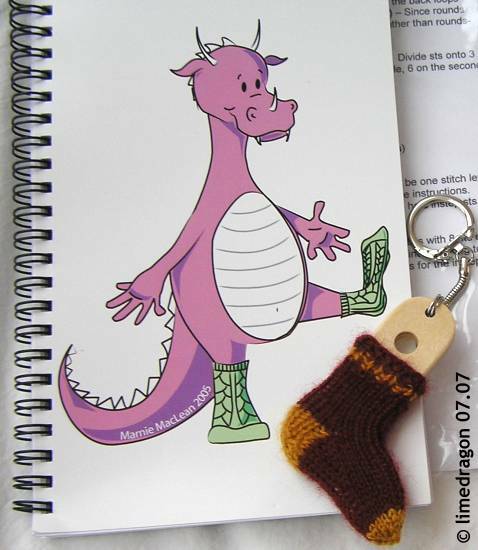 The lavender dragon on this notebook cover is perfectly accessorized with her lime green socks. Tanya also gave me my very own mini sock blocker keychain! 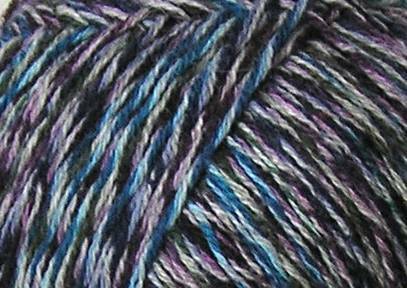 There was one last thing in the box… a skein of TOFUtsies in a blue-purple colorway! 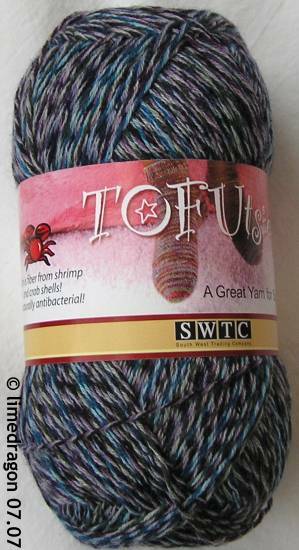 I’ve long wanted to try this yarn. The socks? They fit perfectly! What a great package. The socks look fantastic. Will you dare eat the rat??? What a great swap package! The notebook is perfect! Wowsa! You got spoiled rotten. Man, what a great package. Soap? Well, it could have been worse, a lot worse. great package! seeing all these makes me wish I’d joined up. What a great package! I am in the middle of reading Goblet of Fire right now – as a matter of fact. Love the notebook :) You were brave to eat without checking the chart! These socks look great! 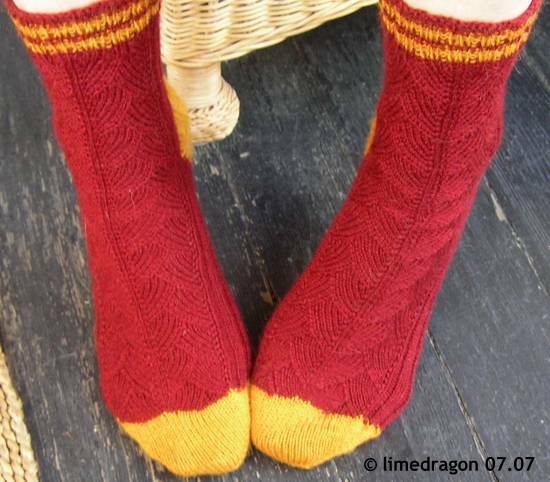 How did she get the ribbing angled like that on the ankle? 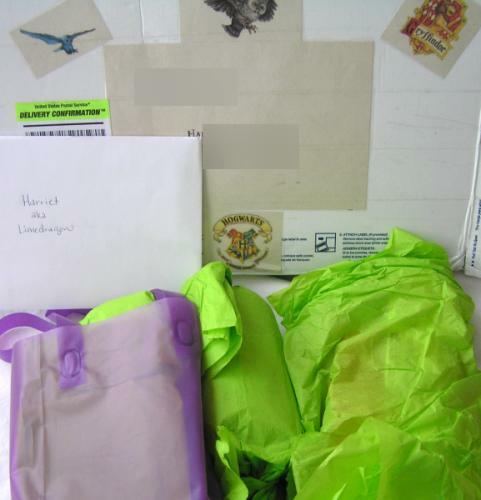 Ooo, great package! 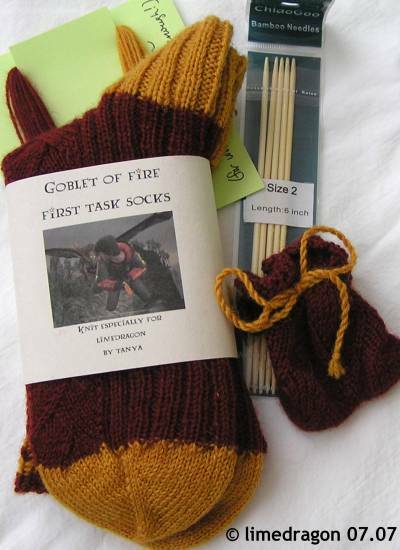 What fun Potter-themed stuff! Fantastic package! Are you going to do the Hogwarts swap again? Oh, that is all so perfect! I love the socks and that dragon is so cute! 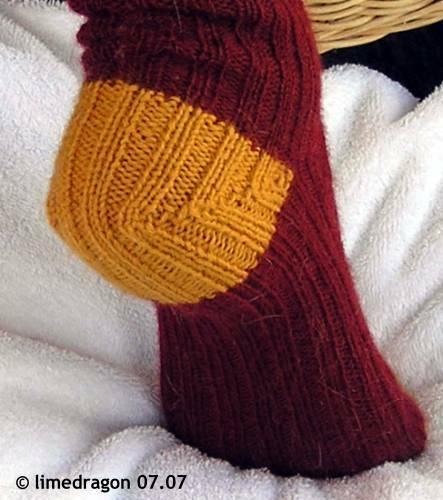 Hey – those socks are a tad “Gopher-ish” in their coloring, aren’t they?